This is a paper is presented and published in 2016 Design Communication European Conference. The paper presents a natural surveillance analysis method for the design of open public spaces, in a digital, 3D modelling environment. Utilising a ray casting method, the model facilitates the computation of varying natural surveillance levels of an open public space during the day. 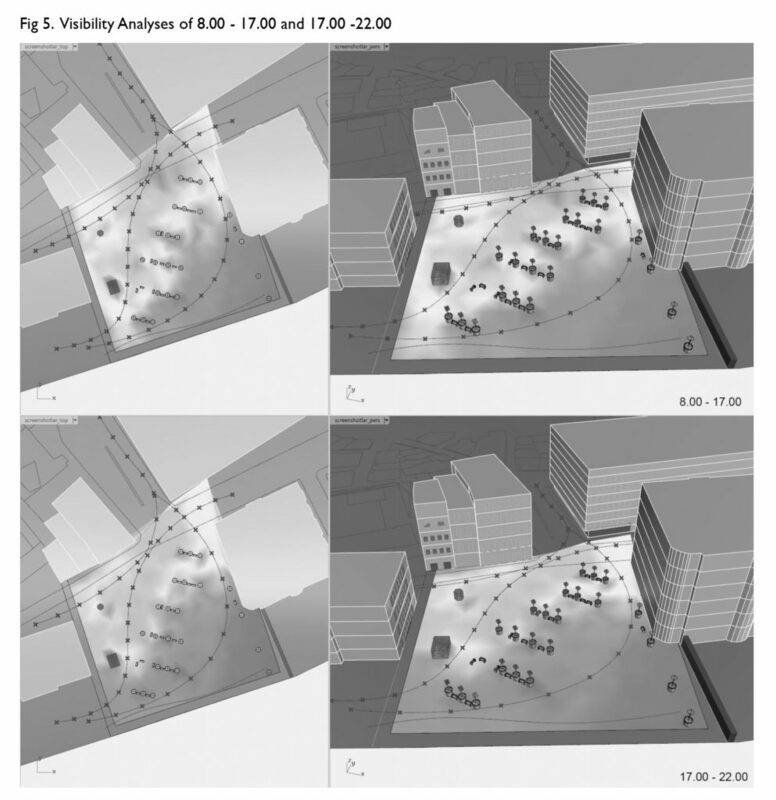 As agents of surveillance, the model takes into account, the occupants of the surrounding buildings and the passers by using the main pedestrian routes; and as objects of surveillance, the pedestrians spending time in the analysed space. Facade openings and visible obstructions are considered the main static variables. 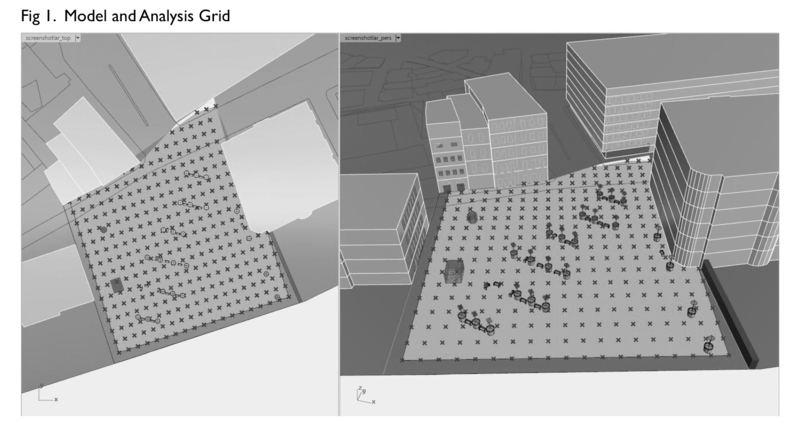 The use is demonstrated through a case study on a public plaza, by computing changing visibility conditions throughout the course of a day, based on varying activity levels of surrounding buildings and pedestrian paths. Potential benefits are discussed. 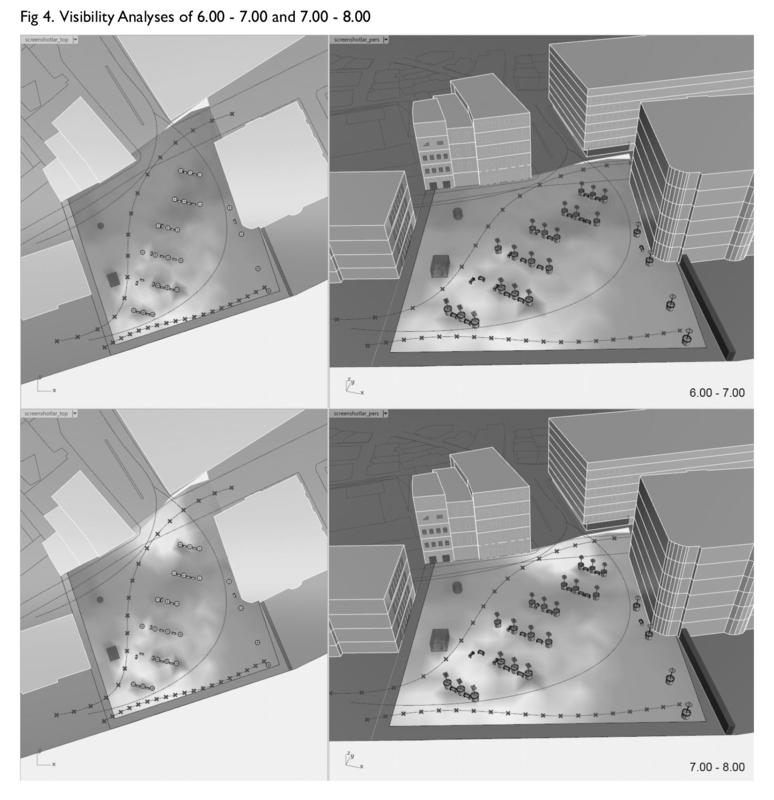 It is suggested but not investigated in this paper that considering the visibility of an urban space during its design can help increase the safety and comfort of its users.